A few months ago, these two celebs in the Bollywood industry had a love for each other. 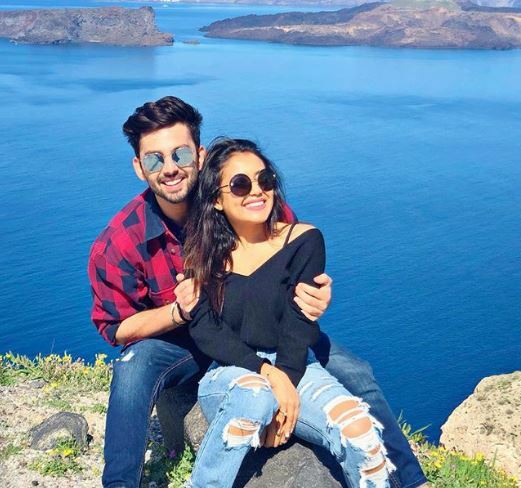 We are talking about singer Neha Kakkar and Himanshu Kohli. Some of the earlier videos came together in the singles album 'oh Humsafar' after Neha and Himanshu have ever accepted their love on social media and even on the stage of many reality shows, but now they have been broken. Yes, these are very bad news for fans who like Neha and Himanshu pair, but this is the truth. Neha himself gave news of his breakup through his social media to his fans. He has posted several emotional postings on his Instagram Stories, which clearly states that his heart is broken and she said she knows that people will say a lot about him now, but now she has got used to hearing this. Neha has first unfollowed the Himanshu Kohli on social media. Then deleted many photos from the Instagram account. However, there is still pictures of Neha and her family posed with Himanshu's account. If the news is to be believed, Neha cried over the set during the shooting of Indian Idol. On December 13, the show was shooting. When a contestant sang an emotional song, he could not control his emotions and started crying. Even when he reached the set, he was not well. Let's say that for last 4 years, Neha was doing a date to actor Himanshu Kohli. In the past, Himanshu also came on the set of Indian Idol.